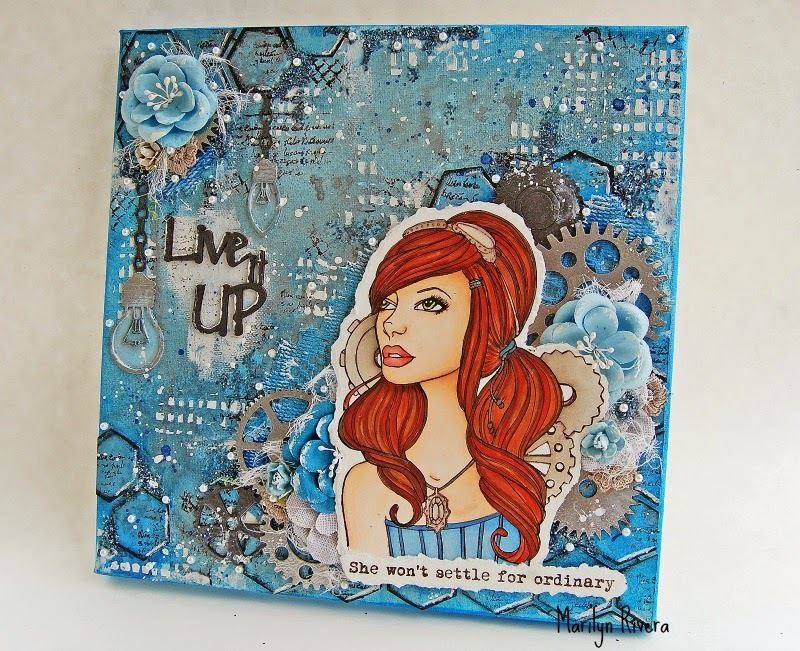 Treasuring Memories: A Canvas & Video Tutorial! Happy Tuesday! 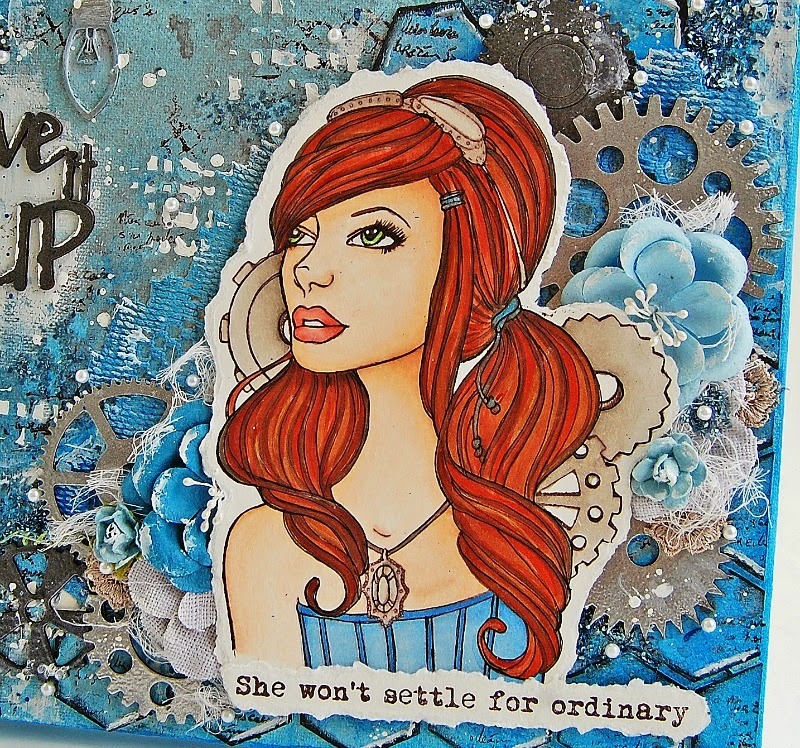 Today I come with a canvas and a Video Tutorial that I made using 2Crafty Chipboards and the new Prima Bloom Girl- Emily. I've been coloring these dolls lately, I painted Emily with Copics. 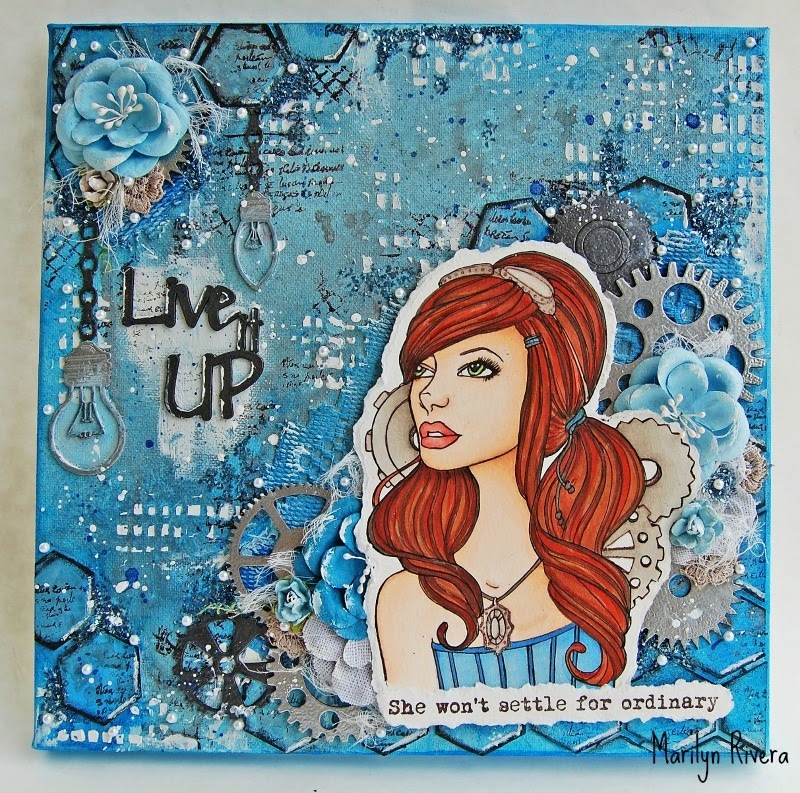 I started creating a design with the "1.5 inch Hexagon" chipboard that I covered with a coat of Heavy gesso- Art Basics by Prima, then I painted with Color Bloom- Cobalt color. I applied embossing powder in silver and pewter colors to all the chippies. I love the look of Emily with the gears she's awesome so I added the "Giant Gears" chippies around her. 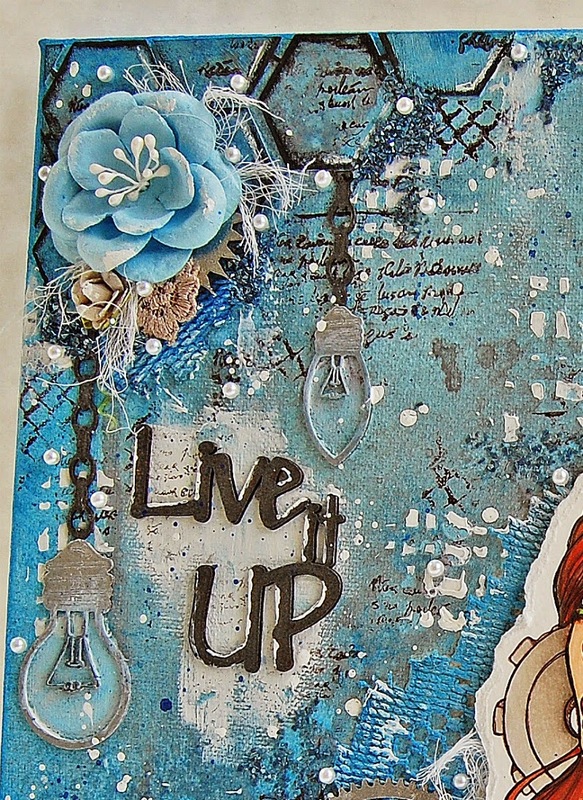 2Crafty Chipboards: Giant Gears, Chain Lengths, Light Bulbs and Live it Up title. Art ingredients- glass glitter- Midnight Blue, Prima Flowers. Wow, how amazing is this! 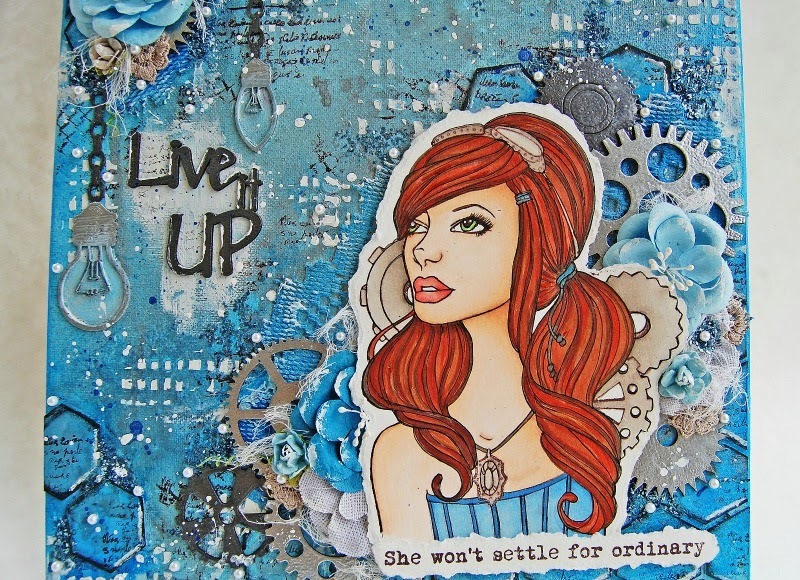 You really know how to do stunning work with these stamps! I'm not sure my comment posted, so I might be repeating! Sorry if I am. Anyway, love your canvas!